During her recent stay with Prince Harry at Kensington Palace, actress Meghan Markle met another important member of her boyfriend's family. 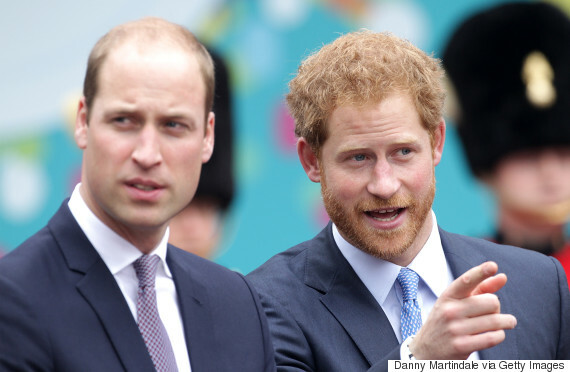 A source close to the Royal Family told US Weekly the 35-year-old American came face-to-face with Harry's older brother, Prince William. The source added that Markle, who reportedly met Prince Charles and Princess Eugenie at Prince Harry's birthday party in September, has yet to meet the Duchess of Cambridge, Prince George and Princess Charlotte. Earlier this month an old interview with the "Suits" star resurfaced in which reporters asked Markle which prince she preferred. Despite trying to dismiss the question with a laugh, she eventually selected the red-headed prince over his big brother. Last week, Kensington Palace confirmed Harry and Markle were in a relationship and condemned the media for harassing the actress. Markle has since returned to Toronto, where she lives, while the Prince prepares for a 14-day tour of the Caribbean. MORE: Living Meghan Markle Meghan Markle dating prince harry meghan markle kensington palace meghan markle london meghan markle meets royal family meghan markle photos Meghan Markle prince harry meghan markle prince william meghan markle royal family meghan markle suits prince harry dating meghan markle Prince Harry Meghan Markle video who is meghan markle Who is meghan markle?